Casual restaurant/saloon with fresh seafood and steaks that are cut by hand. 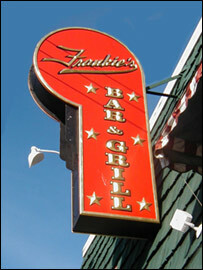 Frankie's has been around since 1985. Full wine list can be viewed here.